The 2nd 1 should be the heaviest weight, the 1/3/5/10 on the way back up should be the same as the way down the list. Doc, Gerry, Lou and Tammy during their kettlebell swings. 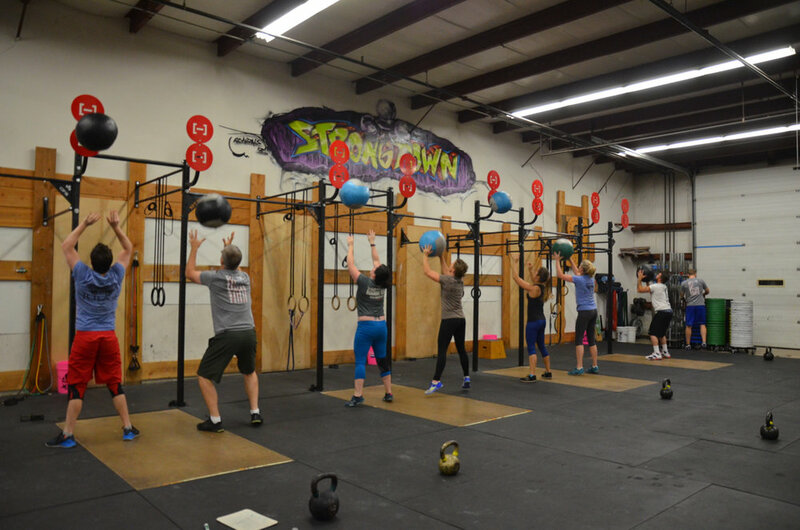 The 5pm class at the start of the metcon.